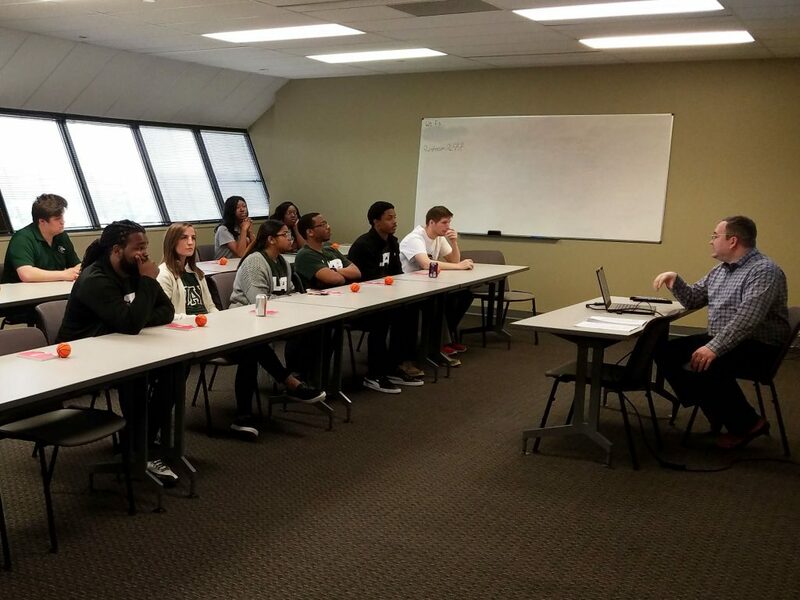 Birmingham Coca-Cola Bottling Company hosted a Career Day for the UAB Collat School of Business on Friday, March 29. 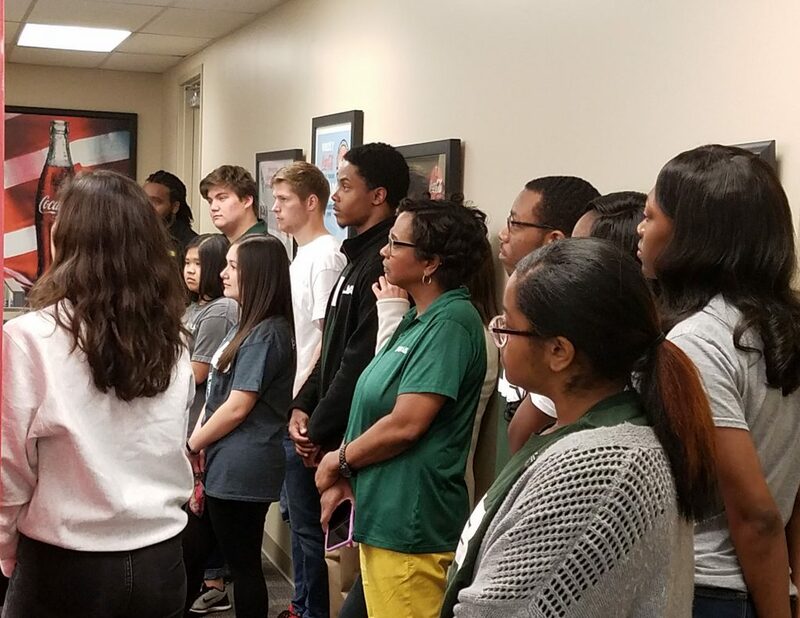 UAB students, primarily majoring in accounting or business management were in attendance accompanied by Director of UAB Collat School Business Career Center, Rita Stewart-Hampton and Assistant Professor of Accounting and NABA Faculty Advisor, Dr. Jim Byrd. 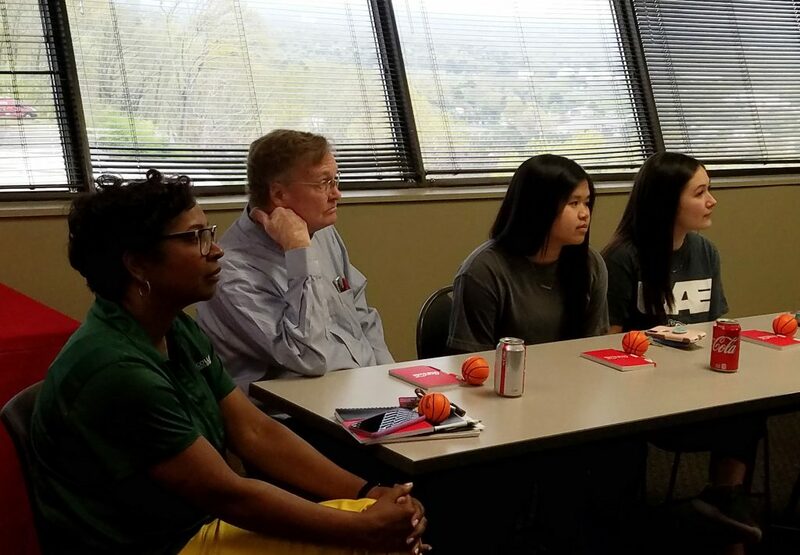 The students enjoyed a presentation on the history and recent growth of Coca-Cola Bottling Company UNITED, followed by a tour of Birmingham Coca-Cola’s United Services Division (USD) location. They were then treated to a lunch and learn session during which managers representing several accounting and business departments spoke to the students regarding the numerous functions and career opportunities for each department. 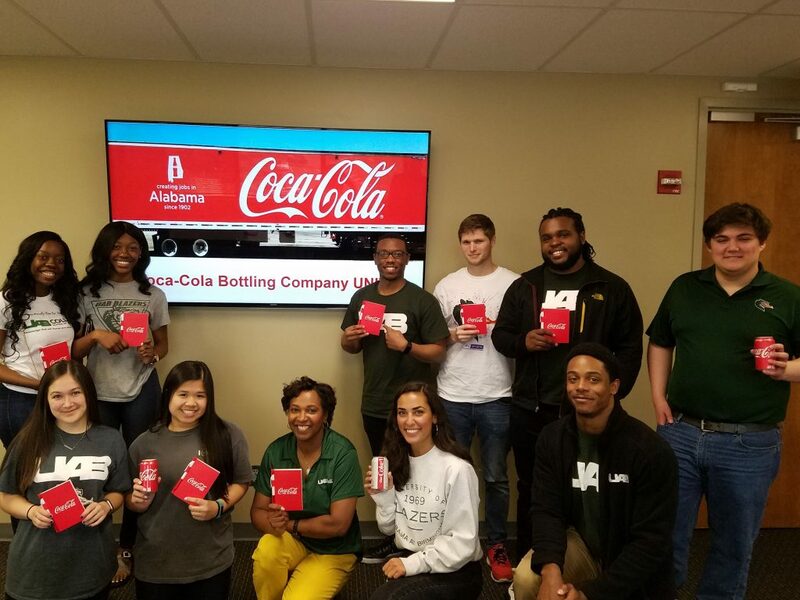 After learning about career opportunities within Coca-Cola UNITED, the UAB Collat School of Business students received some valuable tips and tricks on being a competitive candidate in the job market from a corporate recruiter. AP Manager, Brian Gambrell shares Coca-Cola UNITED’s rich history. During this day of learning, the managers had a wonderful time getting to know the students and sharing their own journeys to leadership. 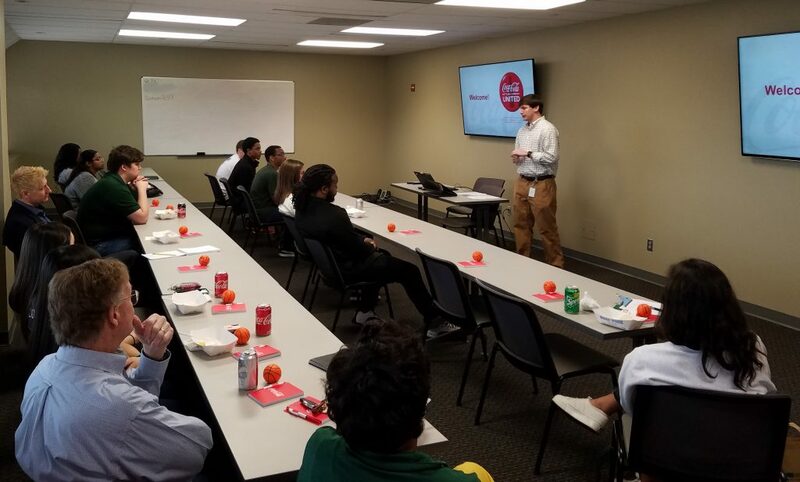 The students asked very insightful questions and left with a much broader understanding of just how much goes into getting a refreshing Coke into the hands of the consumer. Stewart-Hampton expressed what a great opportunity it was for the students to learn about these opportunities. She also shared how much the visit meant to her personally. Having a father who worked for Coca-Cola for 37 years, she already knew how special it was to be a part of the Coca-Cola family!